Abbey Roofing Contractors have been restoring and repairing historical buildings throughout Oxford and The Cotswolds for over 30 years. Our years of experience allows us to assure our clients that we can provide complete management of any project, regardless of the size. 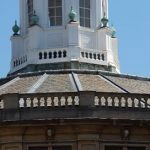 We have carried out work on high profile projects such as Oxford University and its associated buildings including The Old Radcliffe Infirmary and the Sheldonian Theatre. This refurbishment consisted of re-slating the roofs and completing the associated extensive leadworks. 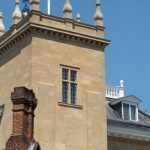 In addition to working with Oxford University, we have carried out similar works on behalf of The National Trust and for other private clients. We have an understanding and knowledge regarding the sensitivity of historical, listed buildings, including churches, properties of the Oxford Colleges, historical hotels and privately owned estates. 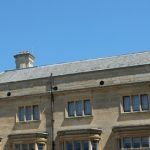 Abbey Roofing Contractors specialise in re-roofing, restoring or repairing traditional stone slates, and working with lead roofing – all of which are associated with historical buildings and their roofing requirements in Oxford and The Cotswolds. 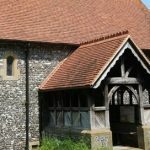 Whether encompassing a complete re-roofing project or general repairs, Abbey Roofing has a team of highly trained, professional and friendly tradesmen who we guarantee will make sure that your historical or listed building is restored. 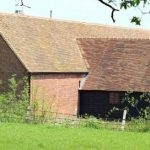 We specialise in offering listed building roof repairs across Oxford and The Cotswolds that are in-line with current building and roofing practices and are in keeping with traditional methods and craftsmanship. If you would like any more information on any of our services, then give us a call on 01865 580 067 and a member of our team will get in contact with you as soon as possible. From there we can come out to do a survey on your roof and provide you with an accurate, free no obligation quotation.